Facebook and its companies are in the news for all the wrong reasons in the market and recently it has been reported that WhatsApp is looking for the possibility to push the add to its users. In the recent update about the incident, WhatsApp Ads will be pushed on Status section of the App. It has been reported that WhatsApp for Android version 2.18.305, the latest beta version, has received an implementation of ads in the Status section. To recall, a Wall Street Journal report in August revealed that ads will be served through WhatsApp Status starting next year. The ads will be powered by Facebook's native advertising system and will "help familiarise users with business" on WhatsApp. WhatsApp beta tracker WABetaInfo reports that WhatsApp is implementing ads for the Status feature in WhatsApp beta for Android version 2.18.305. The feature is said to be currently in the disabled state, and not visible to users yet, though the report claims it will be enabled in the future. Serving ads through WhatsApp Status may be fruitful for Facebook, the parent company of WhatsApp since the Status feature has already hit the benchmark of 450 million daily active users. Presently, WhatsApp Status lets users share multiple photos or a short video that stay in a separate section on the app for 24 hours. Facebook also offers an option to let users see how many of their contacts have seen their status. This is something that could give advertisers a way to keep track of their ads as well. Originally inspired by Snapchat Stories, WhatsApp Status was launched in February last year. A recent Wall Street Journal report stated that the Facebook-owned company would bring new ads types to let users easily send a text message to companies via WhatsApp for any customer-service queries. Nearly 100 companies are already reportedly testing the ad-focused feature, including Uber and Singapore Airlines. 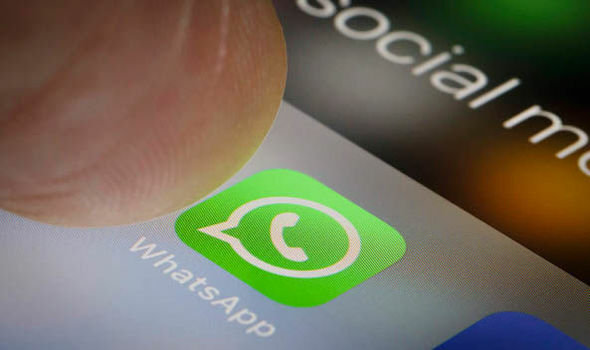 WhatsApp also has a dedicated app for businesses that is available on both Android and iOS platforms for small and medium enterprises (SMEs) and has over three million users.